The Olympia Gallery offers photographs as prints to hang on your wall, as greeting cards, desk sets (mouse mats, mugs and coasters), etc. Click on any picture to go through to our on-line shop where you can browse our merchandise and make your selection. 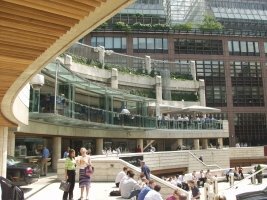 Various unconventional views of London. London is our home town so we will be adding pictures to this section periodically through the year. 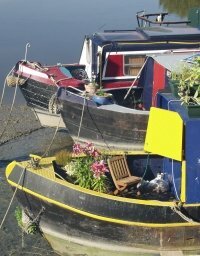 Click on the photographs to go to our on-line shop where you can buy framed prints, greeting cards, etc. Another windy day on England's South Coast. 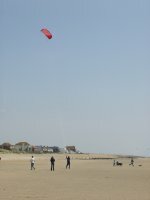 This time we were in Kent at Camber Sands - it was an excellent day for wind surfers on this wide flat beach. Click on the photograph to go to our on-line shop. 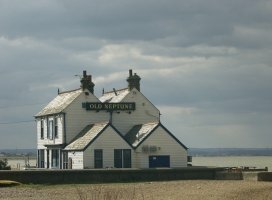 A blustery March day at the English seaside town of Whitstable produced some interesting photographs. Click on the photograph to go to our on-line shop where you can buy framed prints, greeting cards, etc. In the Summer Cyprus has constant sunshine and clear blue skies, but in January it's quite different and the two photographs we have from Limassol show how much more interesting the sky can be. 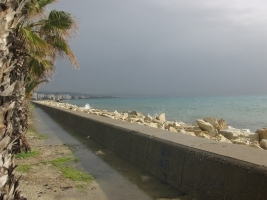 You can see dark clouds and rain on the ground, but this is all lit by brilliant sunshine that shows the vivid colour of the Mediterranean Sea. Click on the photograph to go to our on-line shop where you can buy framed prints.. The Olympia Gallery takes its name from the district of London where it is based. The Olympia Exhibition Centre is situated near here which is one of the two main exhibition centres in London.